From Canada with love, environmentalist Bryan McNeil is on his way to Skibbereen to show his solidarity with local opponents of a proposed plastic factory in the area. McNeil who led a relentless and successful campaign against plastic pollution in his hometown of Guelph, Ontario, is now lending his voice to the Irish plastic battle. McNeil has even set up a crowdfunding campaign, trying to raise money for Skibbereen’s plastic-opposing cause. The Guelph-native first learned about the far-reaching impact of plastic pollution from a documentary called Addicted to Plastic. When he started to scoop up the water to see the plastic contents in more detail, he began to find plastic nurdles or pellets in copious amount. 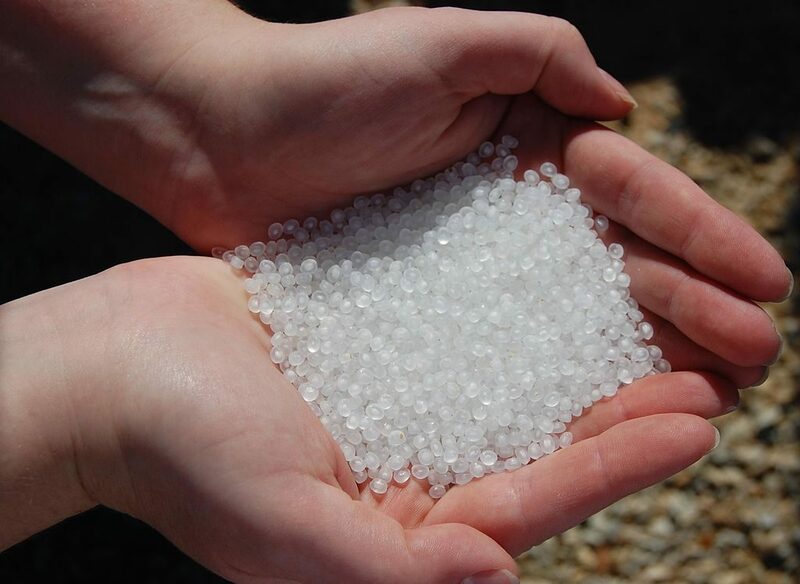 Plastic nurdles are used in manufacturing plastic products from water bottles to computer parts. In the environment, they customarily accumulate on the banks of rivers and adhere to rubbish. Over the years, McNeil has fished an extensive collection of tiny pollutants from the Eramosa River and Grand River watershed in Guelph. 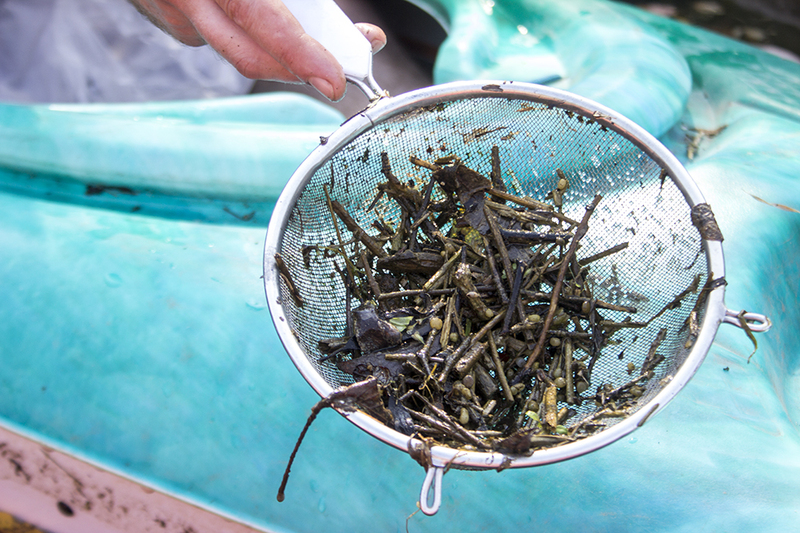 “After a few seasons, I realised that these weren’t fish eggs or nuts that I was pulling cans, bottles, and chunks of Styrofoam out of, it was plastic pellets,” he says. 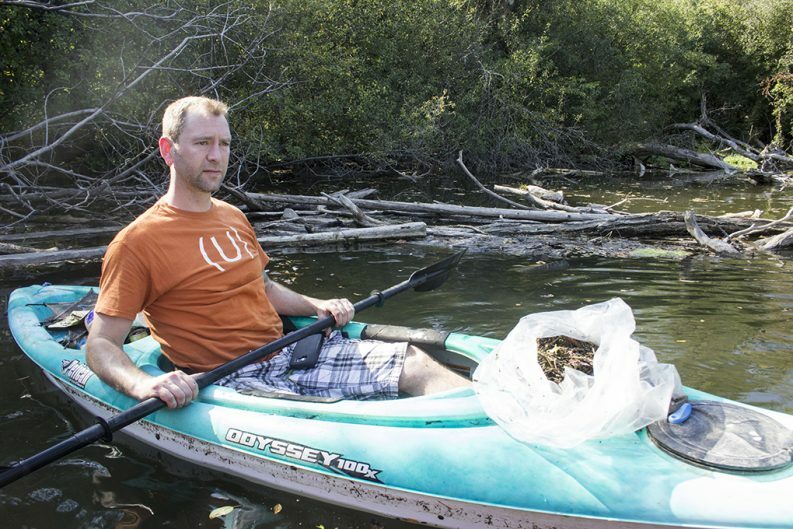 Keen to find the source of pollution, he took a huge bag filled with nurdles and kayaked to Guelph City Hall. “I was naïve, green and didn’t know what I was getting myself into,” he says. When McNeil realised that he was almost entirely alone in his concern, he vowed to fight the scourge of plastic nurdles on his own. He even became known as the Nurdler among his friends and co-workers. A few years passed and his collection of tiny pollutants kept growing until in 2017, he managed to convince the Ministry of the Environment in Ontario to launch an investigation into the matter. The investigation identified a private polymer distribution company as the primary source of nurdle contamination. The company’s cargo trains are believed to have spilled plastic resin nurdles into the water while traveling on a rail bridge across the river. Taking accountability, the company launched an extensive river clean-up programme, set up a recycling plan for reclaimed nurdles and installed catch-basins on their property to thwart nurdles from escaping through storm drains. “They did a great clean-up, they cleaned up parts of the water I couldn’t get into. I’m proud of their clean-up efforts,” McNeil says. His successful campaign also prompted Partytown, a nightclub in Guelph to launch a company-wide recycling programme for used aluminium cans and beer caps. Fiona Vincent, one of the most vocal members of Save our Skibbereen campaign, a citizen group in opposition to a proposed plastic factory in Poundlick, Skibbereen, recently contacted McNeil on Facebook. Vincent invited McNeil to Ireland, an invitation he was more than happy to accept. McNeil will arrive this Saturday thanks to part-funding from Professor Jim Smith, a Geo-Hydrology professor at Ontario’s McMaster University as a thank you for his efforts in cleaning up the rivers in Guelph. 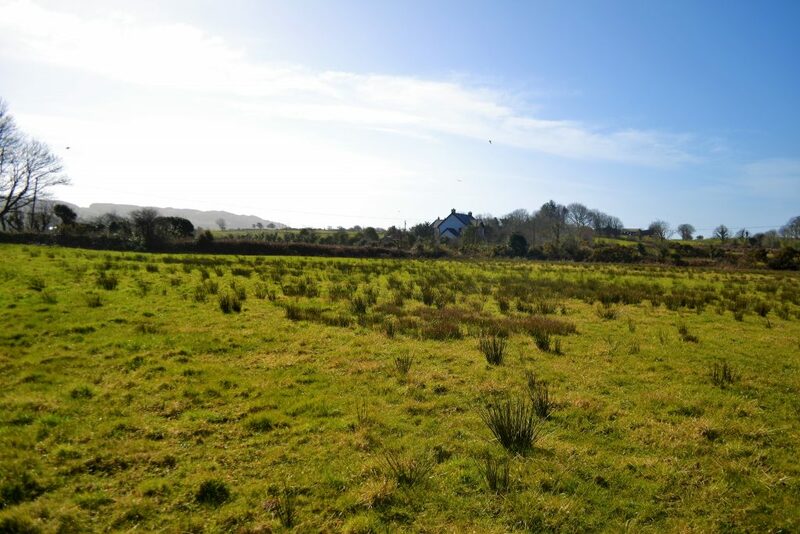 Locals in Skibbereen are hoping that An Bord Pleanála will rescind planning permission granted to Daly Products Ltd – an Irish division of Minnesota-based RTP Company – for the proposed plant in Skibbereen. The group has appealed the Board’s decision, and are now awaiting the planning authority’s final judgment. In a statement to The Green News RTP said that they have decided not to make any public comments while the Board is reviewing their planning application. “As two of the residents have decided to exercise their right of appeal to An Bord Pleanala we will respect the appeal process by responding directly to the Board’s queries and declining to make any public comment on the grounds of appeal until the Board has made its decision,” a company statement reads. The potential for water contamination from nurdles is among the Skibbereen residents’ primary concerns. Nurdles are inherently non-toxic, over time, however, they began to act as sponges, and can absorb chemicals found in water such as DDT (a chemical compound used in insecticide). Marine species often chow down plastic nurdles, mistaking them for fish eggs. If digested, chemicals adhered to the nurdles become absorbed into their tissues, making them potentially dangerous for humans to consume. Other substances used in manufacturing plastic can be quite hazardous. Phthalate, a chemical added to plastic to make it softer, for example, is known to cause infertility, congenital disabilities and a variety of other ailments. Last year, the European Chemicals Agency listed Bisphenol A (BPA), another chemical commonly used in manufacturing plastics, on its candidate list of substances of very high concern due to its endocrine disrupting properties which may have a severe human health impact. Skibbereen locals are also concerned about emissions from the proposed plant as well as possible chemical runoffs into the town’s sewage treatment system. RTP invited locals to a public consultation meeting last December to address their concerns and says that it has responded to all of Cork County Council’s requests for further information concerning its planning application.